While your clothes are swirling within the washer drum, Borax acts as a laundry booster preventing stains from being re-deposited back onto your clothes. One Grand Prize winner will WIN a NEW washer and dryer set. 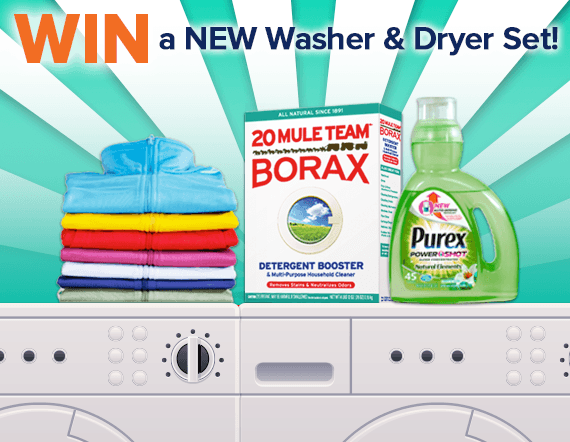 100 Second Place winners will receive a box of 20 Mule Team® Borax, and a bottle of Purex® PowerShot™ Natural Elements detergent. Click on 20 Mule Team Laundry website to take part in this exciting sweepstake!